You can find the relative minor to a Major Chord using Barre chords with ease once you understand the patterns. The shapes used for major and minor barre chords will give you the ability to find any relative minor whether or not you know the name of the chord. 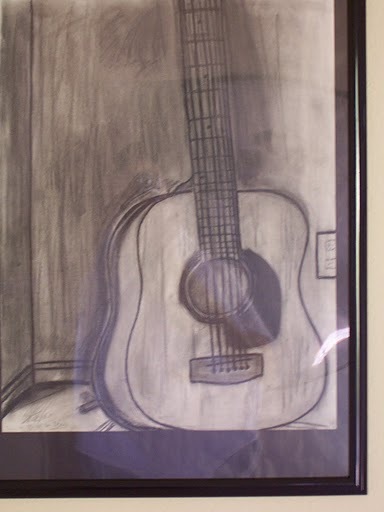 The barre chord makes the guitar a simple, easily mastered instrument because the patterns repeat over and over again and will never change. 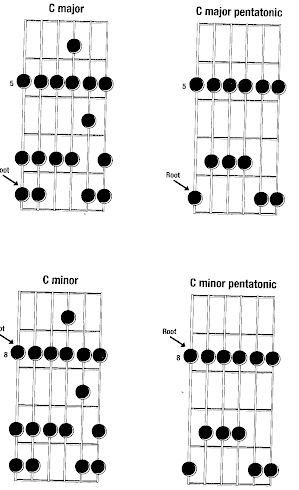 For example if you know the F major barre chord you know that the relative minor is the d minor barre chord. The pattern is the same for G major and E minor. You are using the e configuration barre chord for the f major and you move up the neck 4 frets and use the A minor shape barre chord to create the D minor. So knowing the two different barre chord configurations using the e shape and the a minor shape you will be able to find any relative minor chord just by know then pattern. You can also use the A shape Barre chord as the Major Chord shape and get the same results. It is even easier to remember than the previous example. Make a C major Barre Chord using the A Major Shape and move up the neck two frets and make the A minor barre chord and you have C major and its relative minor of A.